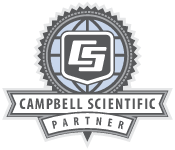 Adams Environmental Systems, Inc., is a full-service environmental engineering company that provides complete monitoring systems integration utilizing Campbell Scientific dataloggers and communications hardware and software. We provide complete system drawings, datalogger software, Loggernet setups, RTMC and RTMCPro screen development in a turn-key solution. We offer sensors from all of the popular manufacturers and are able to integrate them into any equipment package your specification requires. Our principal has over 35 years experience in the meteorological community with small-scale tripod systems to 100-meter multilevel towers. He has experience with all phases of the industry, including nuclear and fossil power-plant monitoring, aviation applications, government contracts with all branches of the military, EPA, Forest Service, and wind energy, to name a few. We can provide portions of systems or be the general contractor for your whole project. We also have expertise in integration of a number of popular air-quality monitoring such as gas analyzers and particle counters as part of a meteorological package or standalone systems. Communications capabilities range from direct RS232, short haul modem, RS485 networks, spread-spectrum radio networks, Ethernet, satellite platforms, to digital cellular technology. Solar-powered remote systems are a specialty.